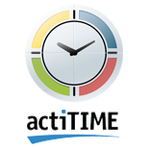 actiTIME - project time tracking software for companies of any size and any business type. It helps 7000+ companies all over the world to track employees work time. "Very compact software, with multiple fuctions actitime." actiTime is a very compact software, the version that was released for mobile devices is the one that I liked the most, because being outside my computer I can take the time of any task, even the smallest, and see results in real time and with good statistics. I do not like the prices offered by actitime in each of their plans, I think that a software of time should be very cheap, and in this case the prices exceed $ 400 per month, I would like Actitime to consider the prices, and so be able to have immediate accessibility to better work plans. I would recommend actitime to companies that want to progress in the field of organizing their staff, in order to keep the real time of each worker. actiTime has benefited me too much in my company, because I have managed to take the time of work of each of the employees and thus be able to know exactly how much time they work, and the work they do, to be explained with percentages in the results as it does actitime . "Pleasant and successful with the basic design in actitime." Actitime has a very basic design that has made me think that it is a very comfortable software, that has provided a quite adaptable platform and that facilitates the work very well, and together with its good characteristics, makes the stay more pleasant and successful. I do not like the time statistics shown by actitime every time a day of work ends, it is assumed that some statistics must be well explained with percentages and some other factor that simplifies the understanding of the information, I would like more diversity to be applied in the graphs and statistics of the results. I would recommend actitime for those companies that want to take control of their employees' work, in order to provide a fair payment according to the time worked. actiTime has helped me a lot to control the working time of each person in my company, even though the information of final result in time, is not as precise, yet I have managed to understand enough to know what time each person worked, It's fantastic actiTime. It has a wide environment that allows you to see more than a simple schedule and / or how a project is going to be executed, but it shows how the structure is such as who will be in charge of one thing or another, in which time it should be used Some work that was provided. It is a great tool that allows to have all the time controlled the operations that are going to be carried out. To be honest it was a little complicated as entering the working environment of this tool. With so many options that can be applied, knowing what to use or not, knowing that it will be used was a bit complicated, you should create tutorials explaining how to get the most out of this tool. I always tell when creating a project this tool, keeps me informed of what is the next step that I will execute. It shows in detail what is happening in each section and execution of the project. "Many functions in a single program." Actitime is a very productive software that can be very useful to carry out projects and take time of each worker, you can even do different tasks at the same time without having to go to another program. What I like most about this software is that it is easy to use, I have been able to apply it to my colleagues in a simple way, just explain a few steps, they already know how to take the time and the software automatically calculates the payment for the time worked, this software is too good, saves a lot of time for our staff and makes it have a better efficiency and work in a fair way. I do not like that this software has so little design for its customers, the design is the factor that should matter most in all the software and even the most important factor of all since that is where the quality of the product and the concentration and comfort that you will give your customers. I would recommend that you take time to design another interface that we like, that attracts us a lot and that shows us confidence and security when performing the task we are willing to do, this is the factor that I see as negative, the rest of the software It is totally good and excellent, you just have to change that factor and that's it, it will be a complete software. I would recommend this software to all companies that want to improve their working time and save the calculation of the corresponding payment, since with this software, they will have these calculations automatically and they will not have to do anything at all. This software has benefited me a lot because I have managed to get my employees to have a better interaction with their work time, and yet I have also been able to take the extra time that each of them works, and all this with a simple software that although it is Simple to use, it brings excellent results in such a short time of work. What I like most about actiTime is its phone version, since it comes more complete and brings more specifications, and believe it or not, it is much faster and more feasible than the web version. I also really like that this program is so easy to understand statistically, because when the work hour or work day ends, it shows graphs to improve my understanding of my employees, these graphs are quite diverse and increase the probabilities to calculate the figures to be paid to each employee and not present any future inconvenience. I do not like that this program has such an ugly interface, the desktop version is quite complete and yet I would dare to say that it is a fairly well developed version and designed to meet the goals that each user needs, but it lacks much in design, the phone version has very attractive designs and wins by much to the web version, and should not be, the web version should be better designed and more elaborate because it is the first that came online with the software. I hope you improve this detail since actiTime is a very good program that greatly benefits several companies and I would like you not to have any negative points. I would recommend this software to all the companies that want to replace the typical ways of taking the time for a more advanced one and that offers more details and benefits, with this software they will obtain immediate and guaranteed results. This program has benefited my company a lot since we used to manage time by means of notes, we wrote down the time someone started working and the time it ended, it took us a long time to calculate the time worked by each person, since we discovered actitime and we implemented it, we have solved this and we have managed to obtain statistically the working time without needing to take account. "Pretty good and efficient functions." 4.- Very good session start. All these mentioned characteristics are what give life to the program and make it the best time-to-market, it has been innovating each of its characteristics to be considered the best and has been very concerned about the stability of the user and achieve absolute comfort where different work goals and many more achievements are achieved. I hope that this software does not neglect these points of view, because they are the ones that give life to my employees so that they continue using the software within my company and thus diversify the time that each of them works. I do not like the expensive prices of this software, because this program is one of the most important and needed for each company that handles large numbers of employees, it is a very essential program because this way you would exactly contract each employee without having to resort to other methods of work, hopefully at some point consider their customers and lower prices so that the software is better known and more successful. On the other hand, I can not mention another negative point, because all the features of this software are totally good. I have benefited a lot from this software because since its implementation in my company I have managed to set quite good objectives and I have obtained a very visible benefit in my employees, since I have been able to control the time and extra work time very well, in order to be able to pay them the right amount of money. What I like most about actiTime is that it is a program where you can start several users within an organization, I mean there is no need to be sharing the same user with several employees as this brings certain confusion and time delay because I as Administrator would have to give the key to my employees whenever I needed to change it, however with the implementation that placed actiTime a few months ago, employees will be able to enter with their user name that is integrating in an organization with the name of the company, this has streamlined the way of working with the employees in charge of taking the time, because that way they can work multiple accounts easily. I do not like that this software has such a bad design, because if you look at it in detail, the design that the graphs have, the statistics, the fields of login, all that is with a design and very basic colors that do not attract good concentration to my employees, however this has not limited the work, maybe a little, but not in a way that affects so much. I would recommend that actiTime think about changing the entire design of the program, including more attractive colors, changing its interface totally adding new things so that my employees have more access to the program and use it in its entirety, this will bring excellent innovations and appropriate benefits. I would recommend this program absolutely to all companies, since all of them include their employees and in this way they will be able to have a better organization and work connection with them, since they will see in real time everything that was worked in that time course. . It has greatly benefited my company and employees, since I can pay exactly and fairly to each of them, without the need for problems because if someone worked more time or less time, with this program I can take the exact time I work and also the time that each employee works, since I implemented it, I have not had any problems at all with any of the employees, on the contrary, I have had excellent qualifications and they are happy. "Excellent timer with the best details." I really like actiTime because this software has the option to see graphically and statistically the time that each person has been working, this has greatly benefited our company because we have managed to see everything statistically to get better accounts and know who works more and base of that to improve the ranks of each one within the company. I also like that this software has access through a user and a password already registered in a company, because this way we do not have to manage a single account but we can manage several accounts and thus set the timer for each employee. I do not like that this program has such high prices, because if we see it from the business point of view, absolutely all companies use some way to keep the time that each employee works, and if this software decreases prices, it will provide the facility to many companies to be able to replace the system of taking time that they use for a better one that is more innovated and where more details are shown about each worker, I know that actiTime will be able to grow much more if it fixes each factor that diminishes it in the competition, and will reach positions unequaled if you start to worry about the client and the financing of it. I would recommend this software to companies that use very basic methods to take the time of each employee, because with this software they will save a lot of time thanks to the automatic way they have to calculate the times and the appropriate payment. This software has benefited me a lot because I previously took the time of each employee, making Block of Notes, and lost a lot of time taking accounts and adding the hours that each worker works every day, it took me hours and hours to calculate how much I should pay each one , with this software, in a matter of hours I have the capacity to calculate absolutely the time and the payment of all the personnel that works for me. What I like most about actiTime is that it is a very simple software to use, since I implemented this program within my company, I have been in charge of teaching each of my employees and adding this system to each computer, with its respective user to take the time of each one and also measure the extra time they work, either for guards and for another purpose, the explanation that I give to each worker is done in a matter of hours so that the person is totally convinced and is with the right knowledge to handle every detail of the software. I do not like that this program has such high prices, since it is a software that has a factor that influences a lot in companies, which is time, since that is where ideas and mechanics are based to achieve progress in any company and maintain a certain stability with my employees. I pay for this software and each of the employees who use it, and I pay a considerable amount of money on a monthly basis, but I believe that if prices decrease, they would help to take care of the financing of the companies and will provide a very essential tool to an Accesible price. This software has benefited me a lot since I have better controlled the time of the employees and in this way I can see graphically and with statistics, what each person worked, this factor provides excellent control in the company and its employees. I hope to continue paying for this software because of the impressive feature it has and I also hope that it will continue to provide me with these great benefits. "Graphics that help to understand." Actitime is a very complete software, where you can see graphically and statistically all the time that a person or a group of people work, it is a program where you have the variety of choosing the way you want to see the results of each time taking. . What I like most about this software is the complete access that the free version has, since I have been able to explain to all the employees that I included in this area, each one of the details of actiTime so that they understand it completely and so pay the membership to begin to control the time worked, I think that nothing is more important than a good understanding so that problems do not occur with the work proposed. I also like the graphics that this program presents, since my employees can easily understand the time that was controlled and so I can proceed with the corresponding payments through the work of each one. Although this program is considered as the best to take the time of each person's work, and in this way to be able to carry out a fair payment and without having problems with the employee, there is a minimum detail that although it does not affect anything to my company, it does affect my employees, since I implemented this software, I did the test with two employees, and I raised the software to work on it, both people mentioned that the design of this software does not encourage them to continue with the work , and at that point I have that same opinion, since since I managed this program, I have realized that the interface or the design so poor that it has does not give enough concentration to those people who use it, it is better than actiTime improve its design so that people are encouraged to work and keep the work well done. I would recommend this software mainly to those companies that handle a typical way of taking time, that calculate it by means of scripts or something like that, since with this software, they will take time automatically and have more graphic details. This very simple software has made me advance a lot both in my company, and in the staff that I currently manage, since I have been able to agree payments with my employees in a fair way, also managing the extra time worked by each one and the Real work time, to corroborate with a fair pay for your work, this benefits a lot for a better organization and control. ActiTime is a program that over the course of time has shown that it can offer all companies a stability when it comes to staying active in the company, for absolute measure of time and the work that takes place. The things that I like most about this software, is that it is so simple to use, thanks to the interface that it has managed to maintain, we have obtained an excellent understanding when it comes to integrating new employees to the software, they understand every detail and how to use it because the program is very well organized and has all its factors explained at the time of integration, where they tell you each way to open a new schedule or add extra work time for an employee, I also like that this software has such a simple record and that we have managed to integrate more personnel in the area of taking time to be in charge and to them at a certain point they have made easy the complete understanding. What I do not like about this software is very simple but indirectly affects many companies that use it, not just mine. Each time we have to integrate a new person into the team of time-taking work, we must create an additional user to the principal, since currently our company has a lot of staff, and we can not integrate almost personnel in the area of time-taking. since it is very tiring to be creating new users for each employee that is integrated, I would recommend that this software start to create work teams or organization within the program, where a group with the name of the company is created and all those that are integrated are created. belong to the time, so my company would not take the trouble to be creating users at all times, this would be a very progressive progress, the fact of adding a session where there is a working group. I would recommend this software to those companies that are also presenting the problems that my company previously presented, since with this software it will not have problems and they will be able to solve all their problems at the personnel level that they manage. This software has benefited my company a lot since we have managed to solve different problems that arose when paying each employee, since the time worked did not match with the time the team had counted, since we implemented this software immediately we noticed the big difference that presents itself. "Excellent to take the extra time worked." What I like most about actiTime in the first place is the way in which it breaks down the time worked, if we inquire into the way in which the graphs and the work status that each person worked are organized, we will realize that actiTime offers the best design and the best presentation, in this way the clients will look for more of it since they will feel more comfortable, confident and sure that the program offers fair and appropriate results with the time that elapsed. Secondly, I like the design that has been implemented actiTime because we can easily develop a time plan without making mistakes or having any interruption, I think that this program has that strong point in the design, because it attracts many people because of its colors and well done that is. What I do not like about actiTime in the first place are their prices, I consider that to be a program that is based only on measuring the time of the worker so that he is rewarded for the work and the right time he worked, the prices are very disoriented, I see this program with a sure success if it continues offering these wonderful characteristics, but the prices should accommodate them immediately so that they stay in that line and achieve the objectives set by the people, there are many companies that want to see actiTime, and they would be happy if actiTime improves their prices at the client's convenience, making them feel better. On the other hand, I have nothing more to complain about actiTime, this program has fulfilled the great majority of promised features and I believe that if it continues on the road it will achieve many goals like software and it will become the number one of the programs to measure work time. I would recommend this program mainly to all those companies that have the need to take the appropriate time for all their employees, in order to avoid future inconveniences and that their company is one of the best thanks to the great technology implemented. This program has benefited me a lot since I previously had certain problems with many employees who claimed to have worked more time than agreed, so since we implemented ActiTime in our company we immediately noticed the results and we found that software like ActiTime takes quite a long and accurate time with the worker, in this way you can reward the worker for the time he or she actually worked. I believe that this program will bring long-term benefits and I will continue to implement it in my company with the intention of achieving consecutive improvements. "actiTime brings excellent long-term benefits." 1.- Taking time, taking time is very important in any company, you will not have to spend long periods of time calculating how many hours or minutes a person worked, with this simple program you will know exactly how long a person worked and you will realize In a simpler way, this program has gradually been integrated within the organizations, being useful for each one of them and in this way being able to achieve a spectacular advance. 2.- Design, the design that actiTime has is quite simple but at the same time innovative and attractive, thanks to this design people can work within the program and do the work they have planned, the design is very organized and people can order in a simple way the schedules proposed. I can't mention negative points of this program, since I started using it has not presented any failure and on the contrary, has achieved excellent progress within my company, being able to say that this program has no interruptions, has no failures of any kind and benefits much to the companies of today, I am very happy to have implemented this program in my company interface, because thanks to him our organization has taken a different direction and has collaborated a lot with the taking of time of work. I would recommend this program because I feel that it could be useful in any company where it is applied and could have many long-term benefits, this program is easy to adapt to the time control needs of each organization and I assure you that you will not have any problems when using it . This program has benefited me a lot because thanks to it I have been able to take the time of each worker and thus assign a fair payment for each client, I think this is a great way to take the time and be able to keep a corresponding account for each employee, I hope I continue to bring these benefits and do not change the way you work the software, because as it is, it is easy to manage and get good results from time. "actiTime should fix the delay." 2.- Exclusive and comfortable design. A organization of ideas, I mean that the program as such, knew how to organize its different sectors, knew how to accommodate in a good way so that the client has better accessibility to it and can better understand the software design, likewise always There is an other confusion, but I think that with how well developed this software is, there will be no confusion, apart from the design it is well elaborated with colors that do not distract, but attract. The registration is completely simple, just fill 4 boxes, with the name, last name, organization name, we will be registering in a simple way, this saves a lot of time. The tutorial that you have at the time of registration is quite functional, thanks to it we could learn different ways in which the software could be used. The delay in the load of statistics of work, there are many times that it takes to load them, or to present them, it means that in a certain part the software has certain delays of time and this is something that should not happen, all the clients like to use a software where they can develop quickly and without waiting for so much. The prices that it has are not so allusive, they do not give the opportunity to the different financial groups to try the software for an accessible price for the great majority, I think that actiTime should take resolution measures, in order to solve this flaw. The graphs that actiTime represents at the end of each period of time are not as explanatory, they do not explain well what the employee worked through the graphs. I would recommend actiTime because I believe that this software in a short period of time, will become the most valuable for Time Tracking, in this way it will gain the number one position and will help many companies to be able to take a fair control of the work done by your employees. I have benefited a lot from the use of this software, thanks to it I have been able to maintain a certain control within the workers of my company, clearly there is always one or the other failure as mentioned above, but the software as such, brings excellent benefits, providing so an interface to easily manage the time of the workers. "actiTime can undertake the future." - Excellent interface, the actiTime interface is very lucrative and attracts a lot of clients the way in which the schedules are arranged and the extra times are very ordered so that they can be understood and the clients can access a comfortable order, actiTime previous months did not have this interface, they were improving and I think the best thing they did was that, they managed to get more demand and people interested in their fantastic services. - Understandable graphs, the way in which actiTime manages to fully graph the time of work and extra time of each employee, makes it better to see the understanding of it, so that they can easily use this for a payroll to their employees. - Irregular prices, when a program represents irregular prices, I mean, they are out of control, the program starts to become expensive and less accessible for people with few economic resources, I think that ActiTime should start to consider the different economic groups and thus establish a plural rate where both sectors can be adapted. - Wait time, waiting time I mean the time it takes to load the different phases of the program, in this way the client is very upset and leaves the project, I think that actiTime should work this factor so that a better result is achieved stability of clients. I would recommend actiTime for those people who want to be included in the world of the work facility, where the employer can diversify the ways of communicating with each worker and make them arrive at the time of work / work. It has benefited me greatly because it has taught me to take the time of work of each employee and thus save me the long periods of calculation in the time of each worker, actiTime has taught me a lot to control my staff, thanks to him we have been able implement excellent measures of work and collaboration of personnel. What I like about this program is that it allows a control inside the company since it measures the time from when we arrived until we left, taking into account the extra hours that I work maintaining an order. This software is fantastic because the graphs show the totality of the time that each person has worked and the corresponded is paid in this way, both the worker and the company are very useful and safe. What I do not like would be the prices since it is expensive and not many companies or businesses can access their services, it is very important to have in the company a good software like this as it measures the time since the employee arrives, leaves or if he works overtime. For the rest I really like this program. I would recommend this software because as I mentioned it maintains control in the company or business, this generates more order and efficiency for the company. Many colleagues would be pleased to use this program in their business since they have noticed the favorable changes that it has generated since we are using it. In the company has benefited us a lot because it has allowed greater control of employees, this has generated more order and less misunderstandings since everything is fully monitored by time taking into account the hours that are actually worked or corresponded to each employee. "Excellent meter of time and extra time." The graphs of work, which represents the time to complete the time, are quite understandable, the graphics are not difficult to understand and with a simple glance we can realize the time worked. This program also has the possibility of ordering the extra time the client works, this brings many benefits at the level of the business organization since we would have better control. So far I can not represent negative points of this software, because it has reached my expectations by providing different factors that make me consider it a valid software and consolidation with users, all its features are perfect and help a lot to keep a control within the company , presenting work reports automatically. I would recommend this program for all the companies that want to keep track of the workers and the time they dedicate to the work, I think that this program would be good for them and they would bring excellent benefits in a long term of work. I consider this program the best because it has brought me excellent benefits in my company, before we started using it, we had to take into account the working time through notes / sheets, and from there we kept those documents to keep track of how many hours The person worked, but now that we have this fantastic tool, we have improved exponentially, adding better organization and accuracy. It is excellent to keep track of the entire company, either from how a project is going to run or how to keep track of it. I like the idea of ​​adding users (employees) taking into account their role and what to do at work. It is a bit difficult at first to know how to use it at the beginning although it has a demo account with already prepared material. I do not find any other problem, the tool is extremely complete. It is a very professional tool that helps you keep everything in order, for that reason I recommend it 100%! What else to say, this has it all. I have taken full control of the company with this, simpler and more organized can not be. It makes my work faster. It is a bit confusing to know how to start secion on the web. In spite of having many functions, they only implement the basics, more turorial videos! Have your life organized with actiTime, it is easy to carry a cotrol of everything. If your time is worth gold try this program. Control the time of my employees and also take control of their activities in the office. I can also be more organized when it comes to having appointments with my clients or meetings with important people. What I like most about actiTIME is that I can easily adapt to take the time of my work and manage it, take control and thus be able to undertake a payment to my employees, I also like it to be a simple and adaptable program I can easily count the time and have no failures or stop the meter, the hours of work provided by my staff have been taken into account to achieve an efficient and fair payment for all people. I will continue using this software because it has gained my trust and has proven to be quite valid for my company because of the great features it has. 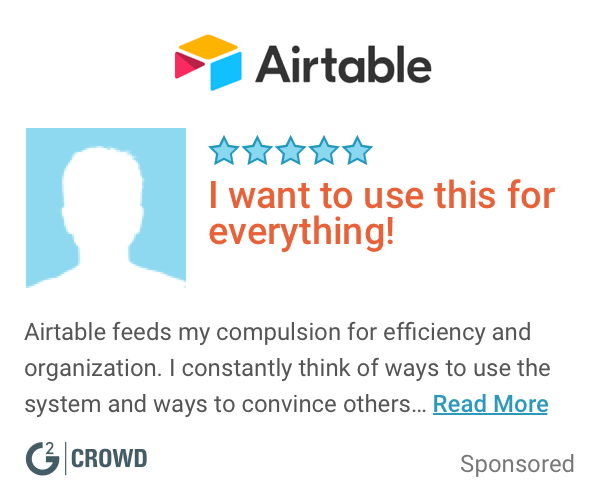 I would recommend this software because I think that many companies should incorporate it in their work organization because in this way they can take better control of their time and group work would be more successful. This program is very beneficial in certain points of view, because you can easily generate detailed reports and track in overtime, this program is easily adapted to companies to provide first-hand benefits to workers and to have a better organization in the same, this program I consider to be quite progressive, quite innovative according to the time that is traveled within an organization. It's relatively straightforward to quickly add projects, tasks to projects and track time against them. It's also quick and easy to report against all time tracked, which is useful when discovering where your company spends a good deal of it's time. Since it's an online application, you have to remember to refresh the page when you open your browse from the previous day. I've spent 30 minutes entering time, then went to hit save and the page refreshes, losing all my time added. Identifying key terminology prior to using the product is a must. Everyone must be on the same page when creating tasks and projects or multiple projects can be created for the same purpose, making it difficult to easily identify time spent on projects. I'm able to quick create reports to identify where the majority of my and my companies time is going. "Very user friendly. Kept simple but effective"
Ease on logging in time. Great functionality in creating tasks and sub-tasks. Easy to distribute over team. CLoad deployment very effective. Closer control of time. Help in planning out a project. "Seems to work well for our needs"
I don't work super closely with actitime, but I gauge from the team that does that it is flexible enough for our needs. I believe it is serving our needs adequately. I don't really have too much feedback on dislikes. I think this product is serving us very well in terms of tracking time and managing a big project that we have with an outside stakeholder. The software is very easy to use. Creating customers, projects, and tasks to put time against is quick and simple. The software doesn't seem to always account for vacation time. Occasionally, I will receive an email saying that I did not record sufficient time when I was on vacation or PTO. Might also be something configured wrong though. We use it for employee time tracking. We are able to create a record for each customer and under that customer, create projects with a list of tasks to put time against. We've been using it for 6 years now, and found it very useful. It's easy to navigate and great for people working at different sites. Some reporting could be improved, also the list of reports is not so handy. We have timely update about what our consultants are doing. We stopped using unhandy Excel files. "Our company recently started using actitime and we just started the process of using it more in dept"
It is web based and very detailed. It includes email reminders and customization for your organizations products. Does not integrate with AD or other products very easily..
"Simple, user friendly time tracking"
Ability to pull forward only categories that you previously reported on. Keeps the interface clean. Organization of time tracking buckets can get a little messy. Find by searching helps to alleviate this though. Consistent time tracking for projects across multiple business units/groups. * We monitor all actiTIME reviews to prevent fraudulent reviews and keep review quality high. We do not post reviews by company employees or direct competitors. Validated reviews require the user to submit a screenshot of the product containing their user ID, in order to verify a user is an actual user of the product. Hi there! Are you looking to implement a solution like actiTIME?